I just started playing Assassins Creed Revelations since I finished brotherhood and got the game cheap a while back on steam. 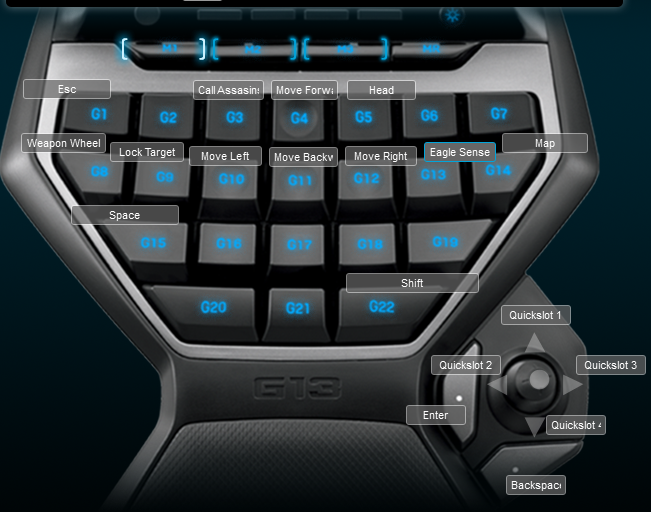 The Logitech G13 didn’t have a default profile for the game. I cloned the Assassins Creed Brotherhood Logitech G13 profile and added the V key for eagle vision because that was the only new key. I didn’t end up using the joystick at all, but the layout worked well. I put jump on my mouse 4th button to make things easier.